What are some other reasons why so many people use Alusett for their trade show exhibit systems? You see, with our multifunction parts, unlimited number of colors to choose from, the ability to mix-and-match a variety of materials and special construction capabilities, allows you to have unlimited flexibility in construction and design with your exhibit systems. Our exhibit systems can be re-configured over and over with the same components, for a large variety of floor spaces and shows. The instant and long term value of the Alusett system also includes its incredibility strong strength and durability, leading to longer life and multiple uses, save you money every time you use it. Also, not ot mention, setting up The Alusett exhibit system is super easy and quick. Even taking it down is a fast and simple process saving you time and energy. Our trade show display exhibit systems are flexible enough to work in any environment of your choice. Making it useful for small exhibitors, retailers, or large corporations, in a permanent or temporary setting. 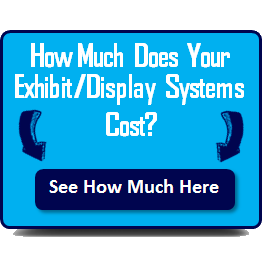 Overall, the lower costs allow trade show exhibitors to increase the effectiveness of their marketing to more shows, attracting more customers using the Alusett display exhibit system – getting the most “bang for their buck” and grow their business effectively. 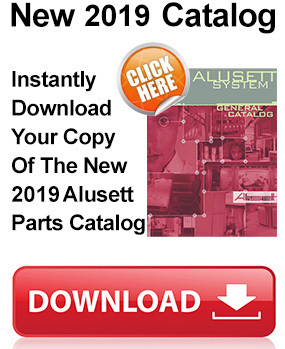 Learn how much the Alusett System investment is for your next design by filling out your information here and we’ll get back to you right away. Why choose Trade Show Exhibits from Alusett? Trade show exhibit systems designed by Alusett systems are engineered artistically to suit your business. They use strong anodized aluminum that can last longer without getting the effects of rust. They also use galvanized steel at the joints to ensure their double deck exhibits are strong. Their trade show displays borrow engineering make from Germany. In fact they are approved by the German technical quality controlling. Their display systems are popular across the world. They are immune to any effects from climatic or chemical hazards. In fact they can last for longer time without tear and wear. Trade show displays from Alusett systems allows you to assemble them according to your preferences. You can always give them a personal touch, according to your business needs. Many people like trade show displays from Alusett because they are designed in different varieties. They produce a wide range of trade show displays that fits the needs of any business. Their exhibitions are suitable for retailers, small scale exhibitors, large scale corporations or any business of any category. If you are operating a small scale business with a small capital base, you definitely need a low cost trade show displays. And you will get these displays from Alusett manufacturers. 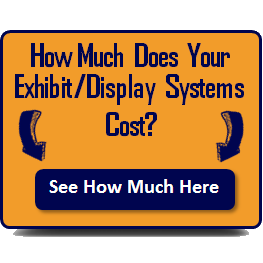 With Alusett trade show exhibitions, you can save thousands of dollars. Their trade show displays are professional, cost-effective, and reliable and durable. If you are looking for the best trade show exhibitions for your business, Alusett systems is the best company that we recommend.